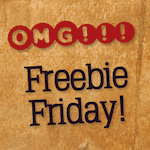 Freebie Friday “Redbox Recall” Edition: Win a Free Redbox Gift Card! We’re feeling a bit nostalgic today, and want you to join us on a trip down movie memory lane. Let’s talk about the first flick we ever rented from Redbox! What’s the first movie you ever got from a Redbox? So many many movies ago! I have no idea I have used Redbox ever since it started in Arkansas! The Wolf of Wall Street on 5/16/2014 is as far as my records go back. I probably have deleted records before then, because that is only 4 years ago and I know I started WAY before then! Little Miss Sunshine in 2007.
oh goodness, I cannot remember the first movie I got from a Redbox. I love Redbox, though! Can’t begin to remember. I started a long time ago. As long ago as there has been Red Box kiosk in my area.